We've devoted a lot of virtual ink here to Grandma Lizzie's uncle John Peter Sand. 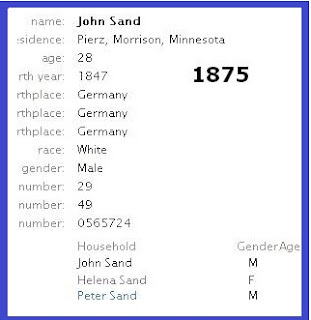 JP was Mike Sand's brother, a Civil War vet, deputy sheriff of Morrison Co, and husband of the woman who released prisoners from the Little Falls jail and ran away with one of em. 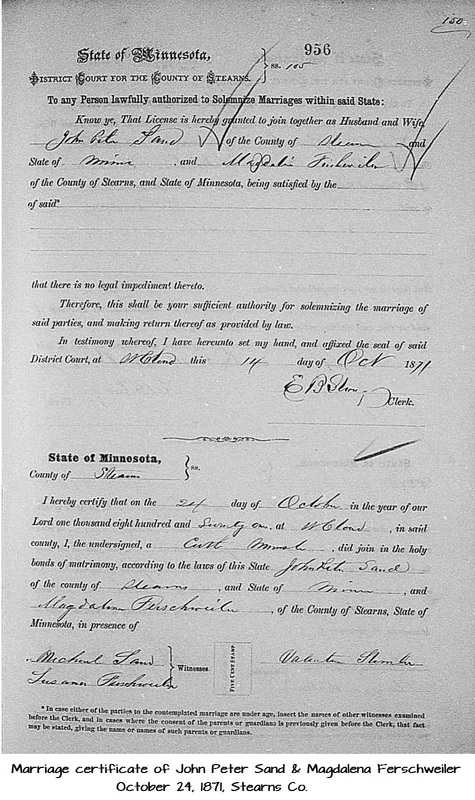 As Hesch relatives go, this couple was pretty sensational, being part of the only legal hanging ever in Morrison Co.
We found articles in the St Paul papers in 1888-89 about the trial, and then figured out if & how J P was related. 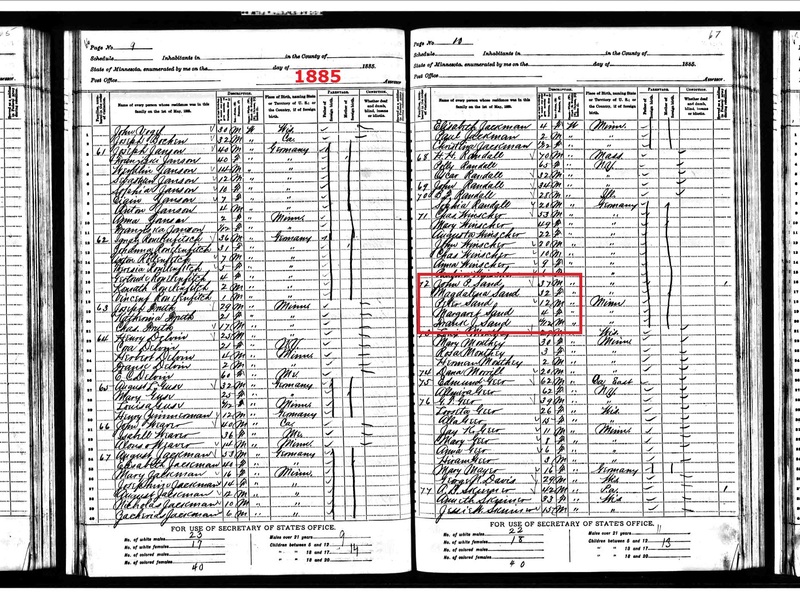 Here he is in the 1875 Minnesota census, and the 1880 Federal census. 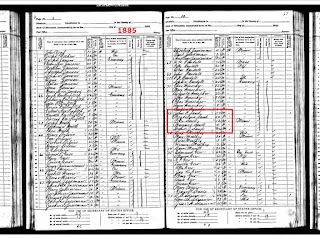 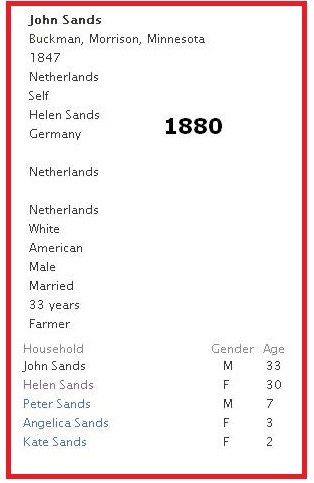 J P's wife is listed as Helena or Helen, but in the 1885 Minnesota census, below, she's listed as Magdalena, so we assumed these were two different women. 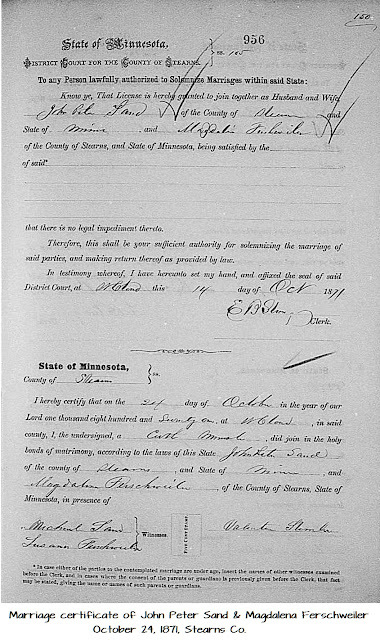 Turns out John Peter Sand married Magdalena Ferschweiler in 1871 in Stearns Co--Larry found their marriage license today. 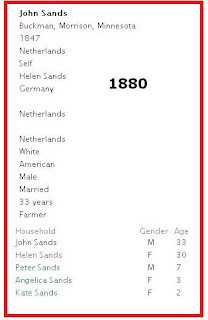 Probably Lena just didn't particularly like the name Magdalena, so she called herself Helena--Lena for short.